Thank you for your download and using my software. If you like my software, please support my development by either one of the following ways. Please see a excellent work which my friend makes by hand. Click the image below to see a excellent work. 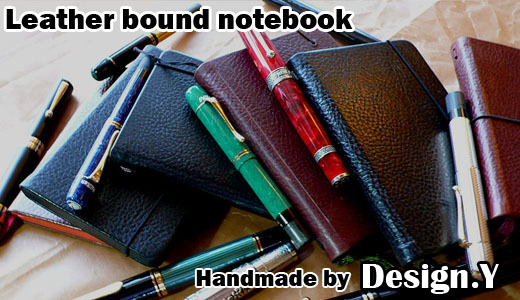 If you like these leather-bound notebooks, please try one. Or, I’m happy that you tell your friend about these leather-bound notebooks. Please tell your friend or other people about my softwares. Please send a book about PHP Programming to me. I would like a book written in Japanse. If you have a fountain pen that you are not going to use anymore, please send it to me. You can cheer me up by your fountain pen. Your bug report or proposal is welcome. It will help my development.